Why should I be part of Jewish Camps USA? Jewish Camps USA is the only Jewish organisation offering you the opportunity to work at only a Jewish summer camp. We understand the different types of Judaism and will work with you to make sure you work at a camp right for you. Every summer we have had 100% success rate of every staff member going to a Jewish summer camp which is suitable for them, with a personal one to one service. As long as you pass the Jewish Camps USA interview, we can guarantee you a job at a Jewish summer camp. Your future, your life, your summer if our priority. Will my references be contacted? Yes, please make sure that after filling out your application form that you make your references aware that Jewish Camps USA will contact them. Do I have to get a DBS (police check)? Yes, every person that goes to camp with Jewish Camps USA must get a DBS through us. We know that you may have done volunteering recently and gained a DBS already, however you will need a new one to go to camp. How does camp hire me? JCUSA will send your profile to a specific camp that meets as many of your requirements as possible. JCUSA will then prepare you for your interview with the camp director. You will either have a face to face interview with the camp director in England, or an interview over Skype. Once the director decides to hire you to work at camp for the summer, they will either offer you the job at the interview or you will receive an emailing confirming your job a few days later. At this point your dates, role and salary will all be confirmed. Do I have to get a medical check by my doctor? Once you are hired at camp, the camp director will let you know what they need from you. Very often one of these documents is a medical check. Each camp does this differently, some will require that you get a medical check completed by the doctor and other camps may only ask that you fill out a form stating your recent vaccinations. Do I have to get travel insurance? Yes, every person that goes to camp must gain travel insurance to cover you whilst you are at camp and travelling. Jewish Camps USA will guide you through this process and will let you know the provider that we have sourced with which covers everything needed when on a J-1 visa. Once you have a job confirmed at camp, Jewish Camps USA will tell you the date you need to arrive and into what airport. You can then go ahead and book your flight, here at JCUSA we are here to help you find the best flight deal and trying to keep everyone either flying together or at least landing at around the same time. Do I have to attend any training prior to camp? Yes, you are required to attend two orientation days prior to going to camp. We will let you know when these are after you are hired. There will be an orientation day in a city near to you with other Jewish Camps USA staff members and in addition, there will be a big Jewish Camps USA orientation day in London for everyone going to camp. You are required to attend both of these days. What should I take to camp with me? Before you go to camp we will provide you with an in depth packing list to give you a guide on what to pack. You should also look at your camps website as many will have a packing list for the campers, so you should also take this into consideration when packing. It is important to consider the different themed days that many camps will have such as: international days for example, Israel day. You should take decorations and clothes associated with the UK. Most of the camps have a colour war (Maccabia) so you should take clothes that are applicable to this. It is important to remember not to take anything to camp that you would be upset about if it got lost, however if you wanted some nicer clothes for travelling you could always keep this in your suitcase. How do I gain a visa? To work at an American summer camp you need to gain a J-1 visa and we help you with every step to gain this. You will have to go to the American embassy in London to gain this and the process for this will begin as soon as you are hired at a camp. You won’t need an ESTA to go to camp as you will be on a J-1 working visa. Will I know anyone else going to the same camp as me? Yes, a part of the Jewish Camps USA programme is that you will never go to camp alone and you will be part of a JCUSA delegation. You will meet the rest of your delegation at the orientation day. Can I go to camp with a friend? We will do all that we can if you have a preference in who you wish to go to camp with. However, we cannot guarantee anything because we do not offer you the camp contract, and for this reason you need to be prepared to go without your friend. Will someone from Jewish Camps USA visit me whilst I am at camp? We try to visit as many camps as possible each summer, however, we are unable to visit every camp each summer. Whether we visit your specific camp or not, we are always here to support you throughout the summer via phone and email. How am I expected to get to the airport and back in the UK? You must arrange your own transport to and from the airport in the UK. How am I supposed to get to camp from the airport? About a month before you fly to camp we will let you know how to get from the airport to camp. The camp will either; pick you up from camp and take you there, give you directions on how to get to camp or to a local bus station which they will then collect you from. Some camps may request that you stay with a camp family the night that you land at the airport. The camp family are a family that have been going to this camp for years and they love to host international staff; they will pick you up from the airport when you land and then take you to camp the next day. How long will I be away for? The time that you work at camp will vary but is usually between 7 to 10 weeks. After camp ends you will have the opportunity to travel around America for up to 30 days. This is the length of time that your visa allows you to stay in America for. Do I get any time off whilst I am working? How much time off you get varies with each camp, however on average you can expect an hour break each day as well as a 24 hour period off for every week that you work. Some camps give more and some give less, so this is something you will be told about when you arrive at camp. How much will I get paid whilst working at camp? Again, this varies with each camp. For first year staff, our camps will pay a minimum of $1500 (if you choose to purchase your own flight) and we have seen some pay up to $2250. This is something that no other organisation can offer. What you will receive exactly will be on your camp contract which you will gain before you go to camp. Each camp pays through different methods, you may be paid by cheque, cash or onto a card and you may be paid weekly, fortnightly, monthly or at the end of the summer. This will all be on your contract; if the camp does want to pay you on to a card then they will take you to a bank to set this up for you. Does Judaism play a large part at camp? No matter your background or beliefs you will feel at home and comfortable being able to be who you want to be. We have selected what we believe are the best Jewish camps in America for you to have the best Jewish experience. All camps will recognise Shabbat, but they will recognise it in different ways. Some embed a rule where you must only wear white on Friday night, most of the camps will have a Friday night service and the services will mostly be held in the outdoors and this will all contribute to giving Shabbat an extra special feeling. What you experience at camp for Shabbat may be different to what you are used to at home, it is really important that you are open to different levels of Judaism and let us know in your application form and interview your level of Judaism. You will be required to obide by the camps Jewish way of living and remember that each camper coming to camp will come from a different religious background. I am Shomer Shabbat, are there any Shomer Shabbat camps? Yes, we do have Shomer Shabbat camps and as long as you let us know of this requirement, we will be sure to put you forward to these camps. As a Jewish organisation we understand that everyone has different religious requirements. Are all of the camps you work with kosher? The camps that we work with are all Kosher except for two which are Kosher style. Can I change camps if I get there and I am not happy? Sorry but no, once you get to camp there is no way that we can move you to another camp if you are not happy. It is really important to remember that it may take a few days until you settle into the new and exciting environment at camp. What if I get home sick or want to leave camp before my contract ends? You can leave camp if you want to for any reason, however be prepared that you will have to speak with your camp director to arrange this and you are on the other side of the world. Please remember to speak to us before making a decision on this as we are here to help and support you throughout the summer. It will be up to you to arrange your travel arrangements back to the UK. What is the Jewish Camps USA interview? After you have applied to camp, Jewish Camps USA will interview you. This will take place in one of our five units (Nottingham, Leeds, Birmingham, London, Bristol) and will be conducted face to face by two ambassadors who have worked at camp in the past. If you have applied to Jewish Camps USA from outside of England or not near to any of these cities, we will conduct the interview over Skype at a convenient time to you. The purpose of our interview is to train you, guide you and support you so that you are prepared to speak with a camp director. The interview supplies us with all the information that we need to give you the best camp and the best role suited for all of your requirements. Can I fail the Jewish Camps USA interview? Yes, you can fail the interview with Jewish Camps USA. If on the unlikely chance you do not pass our face-to-face interview then unfortunately we will not be able to take you any further onto the program. However we are here to help, support and train you through the application and interview stages. We understand that you may be scared and nervous during your interview, but it is really important to be positive and show your outgoing character, as that is what is needed at camp. What happens if I fail my interview with the camp director? If your interview with the camp director doesn’t go well, as long as nothing drastic happened, we will simply send your application to another camp to have a look at in the hope that they will decide to interview you. Again, it is really important to be positive and fun during the interview with director at the same time as portraying your skills and experience with children as this is what they will be looking for. Prior to your interview with the camp we will give you a quick call to help you to prepare for the interview with the camp director. Can I get my money back if I am not hired? 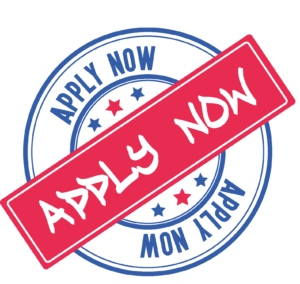 On the unlikely chance that we are unable to find you a job and you did not get an interview with any camp then you can choose to either have the £50 refunded or transferred to your application for the following year. Jewish Camps USA won’t refund the £50 if you are unsuccessful during a camp interview, DBS (police background check) or for any other work or social reasons for example, if you decide to pull out of the program. Could I get fired from my job at camp? Yes of course, even though this is summer camp it is still a serious job and if your camp director is not happy with you for whatever reason, you may be asked to leave. Unless you have done something illegal, the camp will most likely give you one or two warnings before they decide to let you go and if this was to happen you can expect to be taken away from camp within an hour. It will be up to you to arrange your travel arrangements back to the UK and you must return as soon as this happens. This topic will be covered more during the orientation day that you will attend. After camp can I leave the country? Yes, you can leave the country one day after your contract finishes if you wish to return to the UK straight away.